What Should I Do When My Boss Takes Credit For My Ideas? Sure, it’s nice that she thinks your ideas are so great, but you know what else would be nice? A little credit. There are a lot of ways your boss can make your work life unpleasant: by micromanaging, by not respecting your boundaries, or, worst of all, by discriminating against you . But while it’s not the worst boss behavior we’ve ever heard of, a manager who takes credit for your ideas can certainly leave you feeling demoralized and underappreciated. Here, psychologist Art Markman helps this reader figure out how to tackle a credit-stealing boss. I like my job and I think I’m doing well. In fact, I know I have a lot of great ideas, because my boss is always taking credit for them! He likes to have our team of three have collaborative brainstorming sessions, but then when we have meetings with the rest of the company, he always presents the ideas that I came up with (and oftentimes end up doing all the work on) by saying something like, “I was thinking that we should . . . ” I obviously don’t want to call him out on it in front of everyone, but I feel awkward and accusatory mentioning it to him. I feel like I have to do something about it, though; it has happened several times. What should I do? I’m starting to feel annoyed and underappreciated. 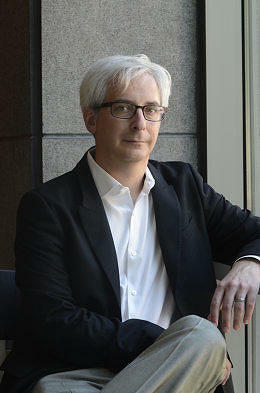 Art Markman is a professor of psychology and marketing at the University of Texas at Austin. His latest book, Smart Change, focuses on how you can use the science of motivation to change your behavior at work and home. Follow @abmarkman. That is a frustrating situation. Great leaders share credit publicly, because they realize that nurturing talent is an important part of a leader’s job. How to handle this situation depends a bit on why your boss is taking credit. There are two likely reasons your boss is acting this way, and that will influence the course of action you take. The happier of the two possibilities is that your boss is inexperienced in a leadership role. When people first climb into the ranks of leadership, they often feel as though they had to compete fiercely with others to get where they are. They probably took advantage of every opportunity to shine in front of others, and their efforts were rewarded with a promotion. Should I Fire Someone Who Works Hard But Isn’t Meeting Expectations? How Can I Tell My Boss I Don’t Want A Promotion? After getting that promotion, however, people who scrapped to get where they are may have difficulty transitioning from campaigning to governing. Once in a leadership role, the criteria for success go beyond potential and individual achievement. Now, success is measured at the group level. Until new leaders recognize this shift, though, they may remain competitive. People who scrapped to get where they are may have difficulty transitioning from campaigning to governing. If this description seems to fit your boss, then you should document the meetings you have had to generate ideas as well as the situations in which he took credit for the group’s ideas. Then, set up a meeting to talk. You can start the meeting by saying that you feel awkward bringing this up, but it is bothering you. If your boss is still getting the hang of leadership, the meeting should serve as a wake-up call. Who knows, he might even thank you for this later. The second possibility is that your boss is a narcissist. From my reading of your letter, I don’t think that is the case, but I want to elaborate on this a bit, because addressing your concerns with a narcissistic boss is likely to backfire. A number of people who rise to leadership positions are narcissists. Narcissists are people whose self-esteem depends on the energy and accolades of others. They need the approval of others to feel good about themselves. Narcissists who are also skilled at their jobs often get promoted to leadership roles, because they make sure that everyone is aware of their achievements. Narcissists who are also skilled at their jobs often get promoted to leadership roles, because they make sure that everyone is aware of their achievements. They are seen as rising stars in an organization because they keep their successes visible. Even after attaining a leadership position, narcissists continue to feed on the energy of the people around them. They are toxic as leaders for a number of reasons. They generally take all the credit for the successes of the group, while passing the blame for failures on to others. They often act as though success is a zero-sum game, so that other people’s success diminishes their own. As a result, they often undermine their colleagues as a way of feeling better about themselves. They also tend to get angry when criticized. If this description fits your boss, then you need to tread lightly. Once again, I would encourage you to document the situations in which your boss took credit for other people’s ideas. If your boss displays any of these other aggressive behaviors, document those as well. Ordinarily, I recommend that when you have a problem with a person that you talk to that person directly. However, if your boss is aggressive or vindictive toward people who criticize him, then a direct discussion could have a negative impact on your career and your stress level. Documentation of aggressive reactions is a reason to bring your complaints to someone else. There are several routes you can go, depending on the structure of the organization where you work. Some companies and institutions have an ombudsman who serves as a neutral third party for people who have a complaint in the workplace. An ombudsman may have suggestions about resources within your organization to help you with complaints against people you are concerned about addressing directly. If you have a good relationship with a senior executive in the company, you might want to discuss the situation with that person. You can broach the discussion by asking for mentorship in how to deal with the problem. But the discussion also provides you a chance to talk about the issues with this colleague. Finally, you can approach your human resources department. The key issue here is that you already have evidence that your boss does not take criticism well, and that he may use your complaint as a reason to treat you badly. As I said earlier, from your description, it sounds like your boss is generally reasonable and is simply hogging the credit for the group’s ideas. If so, that friendly conversation may be awkward but is likely to yield a positive result. If you have a dilemma you’d like our panel of experts to answer, send your questions to AskFC@fastcompany.com or tweet us a question using #AskFC.